Just created a whatsapp image that you can share with your friends and fellow engineers. 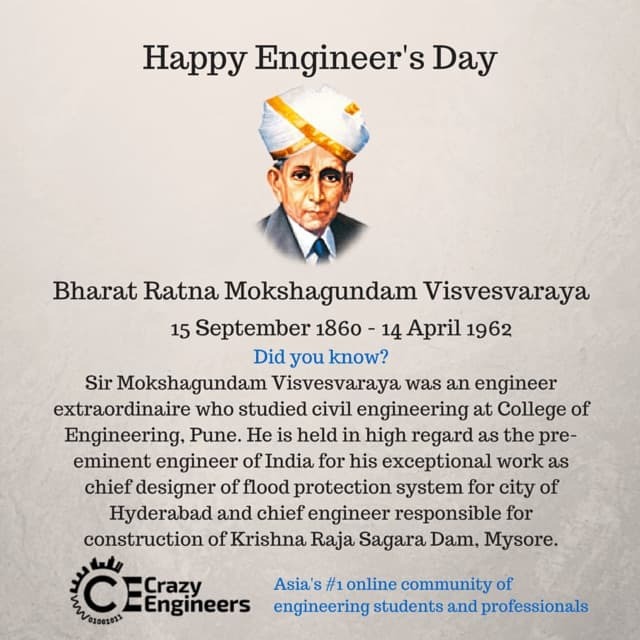 Instead of just forward 'Happy Engineers Day', let's educate people about the reason. I am going to broadcast this one ! I think this is best wish message for this day for me. Yeah, shared it with few of my contacts and got 'thank you' back from them  . Better than only saying happy engineers day and not telling anything about the significance of the day.